Zamboanga is a peninsula divided into three political divisions; the Zamboanga del Norte, Zamboanga del Sur and Zamboanga Sibugay. Five cities share the bountiful natural resources of the region, the highly urbanized City of Zamboanga is its center for commerce and trade and education. The Peninsula is closer to Malaysia, Singapore and Borneo than to Manila, the country’ capital, thus, dubbed as the “Gateway to Southeast Asia”. According to historical documents, the early Malay inhabitants call their place “Jambangan” or “Land of the Flowers” because of the profuse growth of flowering shrubs in the area. The name later on evolved into “Samboangan” which to the Badjaos mean “paddle”, the wooden oar that they use to navigate the waters in their colorful vintas. The Spaniards changed the name to “Zamboanga” for better enunciation. Historical records identified the Malays as its early settlers, living along the river banks and are the predecessors of the “Subanon” tribe or the “river people”. Then, the “Sama” people and the “Badjaos” came and built their houses on stilts in the coastal areas of the region. The Spaniards came in the late 16th century and settled in town. A fortress was built around the citadel to thwart the attacks of the “Moros” and protect the town from pillage and carnage. Long before the Spaniards came, the inhabitants of the Peninsula have been trading with other Asian neighbors; a healthy economic and political structure existed before the exploitative Spanish system replaced it. Zamboanga Peninsula is bounded by the Moro Gulf and the Sulu Seas and in part by the Celebes Sea. It has a hilly to mountainous physical attribute that is mainly agricultural. The mountains are rich in mineral deposits that are being mined by small to medium scale mining operators. The region has a vast forest cover that supplies a large part of the country’s lumber needs. Formerly known as Western Mindanao, Zamboanga is the smallest province in Mindanao that has a total land area of 18,730.1 square kilometers, including the many islets dotting its coastal territory. Being mountainous, the whole Peninsula has a Type IV climate, which means an even rainfall all throughout the year. There is no distinct wet and dry season and the region is out of the typhoon path. There are no surprise thunderstorms or gusty winds at any time. The region is a veritable melting pot of different tribes and culture. The Spanish presence in the province many centuries ago has greatly influenced the language of the people. 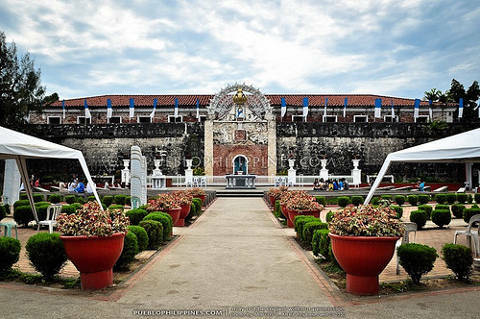 Zamboangeño Chavacano is spoken in most areas especially in the City of Zamboanga. The native tongue has a predominant mixture of Spanish, Ilonggo and other ethnic words. Their distinct language earned them the name “Latin City in Asia”. If you are coming to Zamboanga from the other parts of the country, the best point of entry is Zamboanga City where a modern international airport is located. Three airline companies provide regular flights to most major destinations within the Philippines. If you are in no hurry to reach your destination, a sea trip is a cheaper way to enjoy your vacation. Zamboanga City has an international port that services domestic and foreign ships to Malaysia and other ports within the country. Land trips from one province to another are not a problem with the regular and air-conditioned buses and taxi cabs plying different routes at all hours. Rent-a-car vehicles can be easily obtained if you have a valid driver’s license and, in the case of a foreign visitor, a valid passport and an international driver’s license. Shopping and sightseeing around the city is a breeze with the “motorelas” and “pedicabs”, improvised contraptions favored for fast transit. Getting around in this southernmost part of the country need not be stressful, just follow the travel guidelines of every area you visit and keep to the roads. Do not attempt to explore the countryside alone and without proper security clearance from the authorities. Zamboanga City has several good accommodations that cater to distinguished guests, local tourists and traveling businessmen. The following hotels offer high quality service and classy amenities to satisfy every guest. Jardin de la Vina Hotel has sizeable rooms that offer comfort for the whole family. Budget pension houses and lodging inns can be found within the city, just choose with care. When in town, don’t miss the popular “curacha” dish, the meaty crab cooked in a special sauce of coconut milk and served with rice and side dish. Alavar’s Restaurant makes the best curacha according to repeat customers that frequent the restaurant. You can find the best seafood dishes in this place. Street foods are sold in busy side streets and along the boulevard by the sea where many people stroll and watch the sun set. Drink bottled water for your own sake. Every place celebrates their own version of festival that honors its patron saint or a thanksgiving for a bountiful harvest. The Filipinos love merry-making and every occasion is a reason for celebration. 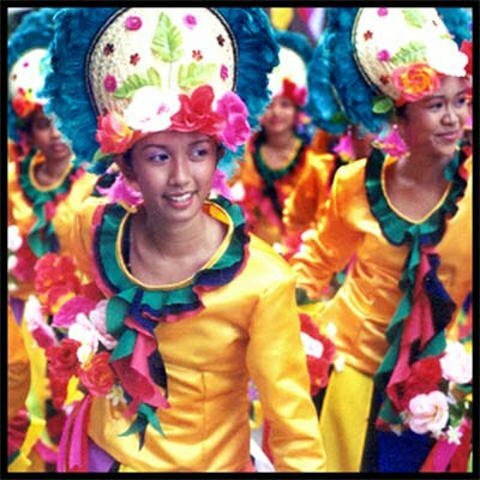 If you visit around October, witness a spectacular display of colors and ethnic music and dances during the Zamboanga La Hermosa Festival. The Megayen in September is the official festival of Zamboanga del Sur while the Sibug-sibug Festival in Zamboanga Sibugay features the major product of the province, scrumptious oysters or “talaba”. Whatever your reason for travel to the Zamboanga Peninsula, make it a worthwhile experience and have the best time of your life.